People rely on their senses to detect harmful food; a natural instinct coined “intuitive toxicology.” Modern toxicological tests for risk analysis have erased this need. Despite the fact, to be tempted to consume or buy a product, people have to first deem it safe and beneficial. Due to misinformation, limited resources and bias, consumers may lack the ability to accurately assess which new food technologies are suitable and safe for consumption, according to the studies presented at the Symposium. Dr. Angela Bearth of ETH Zurich presented “Intuitive toxicology revisited: People's understanding of toxicological principles and implications for the risk perception of chemicals.” Revisiting previous intuitive toxicology studies, Dr. Bearth compared consumers’ knowledge about toxicological principles to their perceptions and preferences for several consumer products, including cleaning products, medicines and food. The results showed that consumers don’t have a good understanding of the procedures that ensure product safety or enough education to differentiate between man-made and natural chemicals. “The impact of disgust on risk perception and acceptance of novel food technologies,” study, presented by Dr. Michael Siegrist of ETH Zurich, examined whether different food technologies evoke different levels of disgust. Participants were inquired on their feelings towards various new food technologies, including genetically modified or artificial meat, edible nanotechnology coating films and synthetically produced additives. 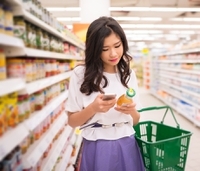 The survey revealed that consumers associate novel food technologies with feelings of disgust and unwillingness for consumption. The third study: “The role of denotative and connotative judgments in food evaluations and eating decisions,” led by Dr. Gulbanu Kaptan and a team of researchers at Leeds University explored the role of cognitive and affective bias in food evaluations and eating decisions. Concerns about food being nutritious and safe represented cognitive judgments, while ethics, cravings and disgust represented affective judgments. An online survey was conducted to discover how these characteristics were related to food evaluations and eating decisions. The results of the study revealed that affective judgments had a stronger effect on decision making and people preferred to consume foods linked to positive connotations despite not being nutritious, while they refrained from choosing foods linked to negative connotative judgments even if they were healthier and safe to consume. The findings of the study aim to possibly aid in shifting people’s nutritional habits for the better. The studies offer useful insights into consumers’ behaviors. Consumer choices and actions can be quite predictable based on heuristics and when studied allow space to improve consumer choices.